The 75k, 100k, and 125k bonuses for the first three cards are all marketed as limited time offers that end June 27, 2018. Amex must receive your application by today, so I would apply before midnight tonight ET. 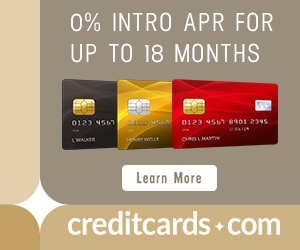 The Citi card offers listed in those posts are dead, as like I said above, Hilton now exclusively partners with Amex. But you’ll still get the fifth night free on award stays as a cardholder of any of the Amex Hilton Cards, as that is a benefit of Silver status (and all cards come with Silver or higher Hilton status). So like before, you’ll still get the most value per point redeeming on five night stays as you’ll only pay for four award nights. While I still consider the Free Weekend Night certificates the best option for getting top tier Hilton stays totally free, it’s not likely you’re going to earn a ton of those, and who would want to stay somewhere for just one or two nights if they travel far to get there? That’s where Points & Money Awards come in… making top-tier properties more affordable. Thankfully you don’t need 40% of the points necessary to book a Free Night to book a Points & Money Award like you used to. Read more about Hilton Honors Points & Money Awards in Hilton Changes: Revenue-Based Pricing and Points & Money Awards. Separately, you are limited to holding four to five American Express charge cards. Both personal and business count toward this limit. 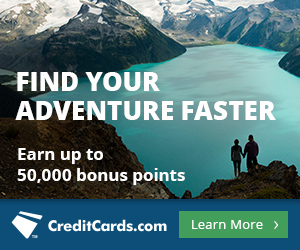 (AMEX Platinum is a charge card.) If you’re not sure how many you have, don’t worry, Amex will likely let you know before officially pulling your credit. If you are trying to get back under the Chase 5/24 limit, then the Hilton Honors Business Card is the choice for you. Business cards from Amex (and most other banks) do not typically count towards your 5/24 total. If you were contemplating one of the three limited time elevated sign up bonuses, on either the Hilton Honors Card, Hilton Honors Ascend Card, or Hilton Honors Business Card, now’s the time to act. Apply before midnight tonight (ET) as the bonuses are scheduled to end June 27, 2018 (today). The 100k bonus on Amex’s premium Hilton card, the Aspire, is not marketed as a limited-time bonus and has no published expiration date. How many nights will 100,000 points get you? Totally depends on what hotel you book, and that’s harder to determine now that Hilton doesn’t have an award chart anymore. If you follow my strategy discussed above and only book what used to be labeled as Category 1 – 3 hotels (max 5k to 20k a night) and took advantage of the fifth night free benefit by booking only five night stays, then 25 nights max (in 5k/night properties) or 6 nights minimum (in 20k/night properties). I’ve got the Ascend and have been eyeballing the Aspire because I have a bunch of Hilton travel upcoming in the next year. Glad I don’t have to make that decision right away because I like to time my spend. BTW, if you pay for your own healthcare, most of them take plastic and with the crazy insurance rates these days, your minimum spend is almost covered with just that.